I know I've said it before, but this time it's real. I'm back, baby, and I'm ready for the 2015 triathlon season. It's been a long two years since I've last raced. During that time, I let myself get pretty much completely out of triathlon shape. I've gained a few (7) pounds and let my endurance base drop to zero. 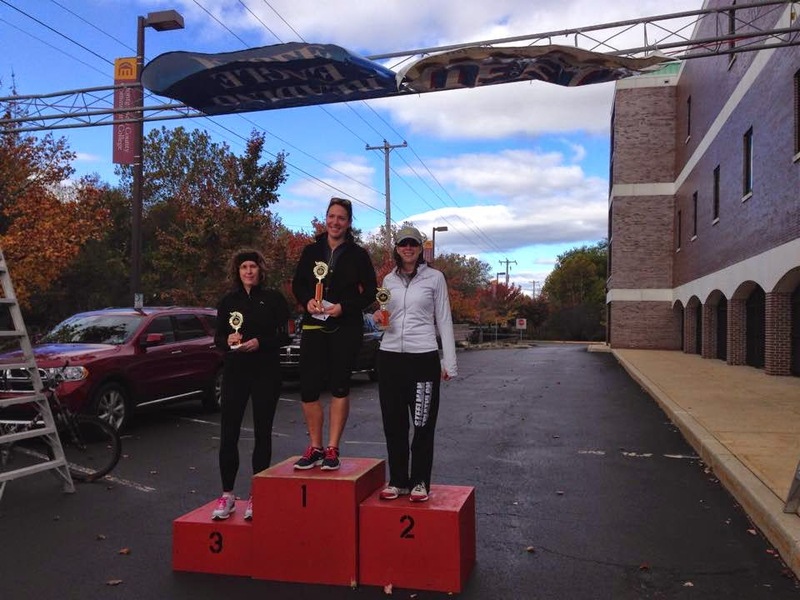 Last fall, I started a beginner 5k running group and ran a 5k in mid October. 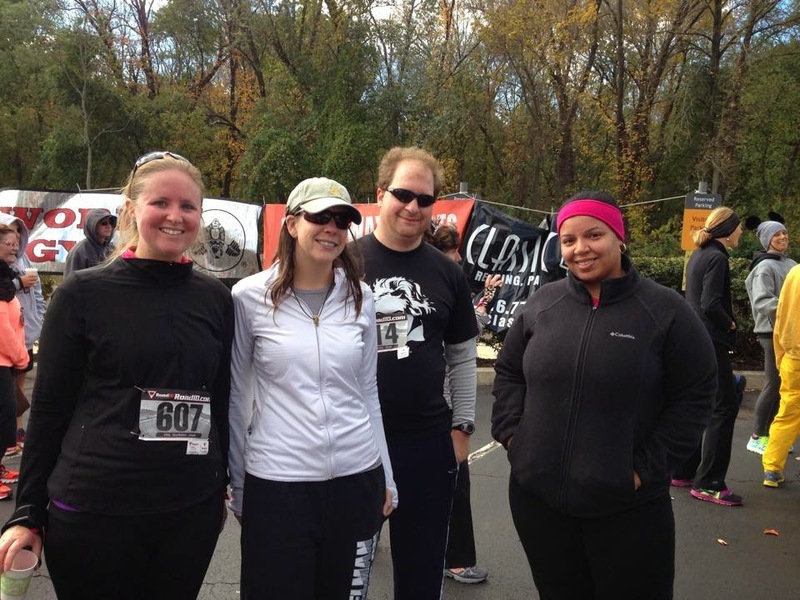 Part of my AWESOME 5k group - and me. 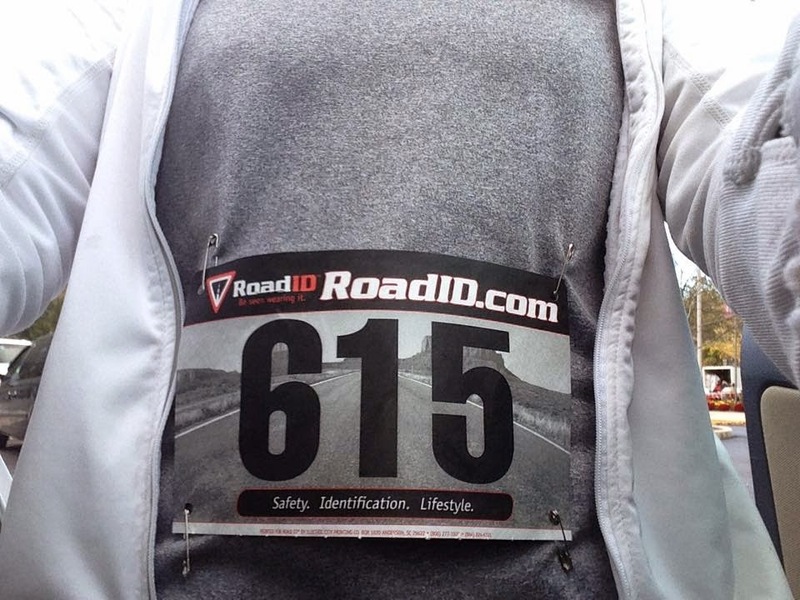 While pinning that race number to my shirt - I completely forgot about the novelty that is a race belt - I thought about how much I love the feeling right before a race. The nerves. The anxiety. The excitement. Yes, those are safety pins. Can you believe I forgot I owned a race belt? Well, it's time to get back that feeling. I somehow managed to get a second place trophy. This week, I took a couple of huge steps that have created a situation in which I have goal and I've spent some money - two things needed to keep me focused. First, I rejoined the Philadelphia Triathlon Club. Part of the reason I've been so apprehensive about getting back in the game is that when I left my husband, I left the triathlon community. Anyone I ran/biked/swam with pretty much stuck around with my ex who had the financial freedom and time to keep up with his athletic endeavors. I learned the very hard lesson about who my friends really were, which really held me back from reaching out to the community who I felt abandoned me. Combine that with the fact that over the last two years my fitness level has dropped to newbie level, it left my pride pretty injured. But I'm ready to let that go. Tomorrow, if snow doesn't ruin my plans, I will be headed to the 2015 PTC kick off party to meet me some new training partners. Next, I renewed my USAT membership for the year. I did this so that I'd be an official USAT member, not just having a one day pass on race day. This made me feel like I was really back. After that, I registered (gulp) for a race. Yes, it's right around the corner from my house. Yes, it's in 114 days. Finally, I renewed my gym (with a pool) membership. I've been going to a gym without a pool, but there's no such thing as a triathlon that doesn't have a swim. After work today, I have a Friday night date with the pool. Oh yeah.